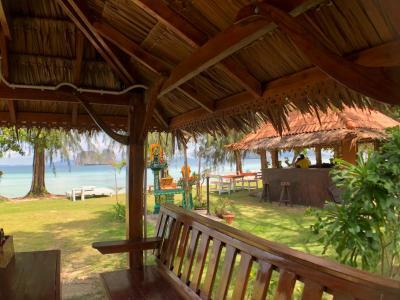 Lock in a great price for Koh Ngai Kaimuk Thong Resort – rated 8.3 by recent guests! Great position on the beachfront. Good size room, basic but very clean. 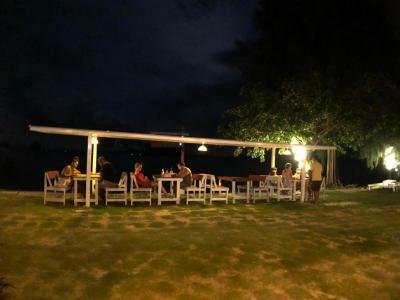 Nice bar on the beach - Nui, who manages the bar, was always friendly, helpful and smiling. Loved watching the amazing hornbills in the trees outside our room! The staffs are very friendly and helpful. The beach in front of the resort is breathtaking! We totally love it and plan to come back here again. Thank you! Super friendly, smiley people. Excellent curries. Location right on a gorgeous beach. 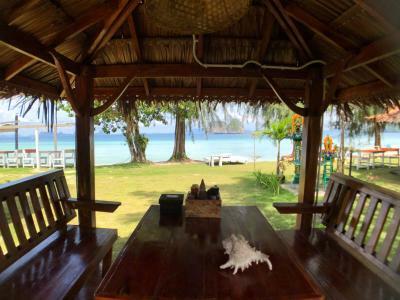 Best localisation on island - beautiful beach and bungalows max 30 meters from shore. Great always-smiling staff. Very good drinks and food. Place worth coming back in future. 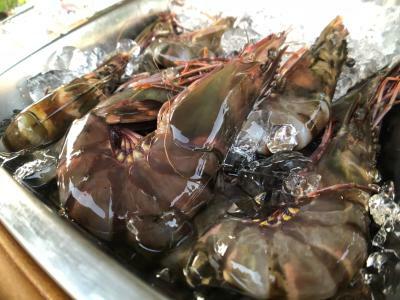 Excellent location, perfect and clean beach, great and very helpful host, coral reef in front of the resort's beach, good facilities on site, clean bungalows, love this place and hope to return to this place. Great location, amazing place for beach walking, soooo clean water :). Very helpful and honest stuff. So many places for take an amazing pictures. Close to another resorts. Incredible places to sightseeing the island which is so so taking your breath. I can recommend this place for everyone with children or without. Amazing location, right on the beach. The water is lovely and clear with some decent snorkeling, felt like paradise. Would have loved to stay longer. 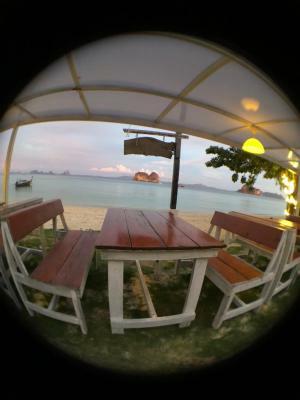 Koh Ngai Kaimuk Thong Resort This rating is a reflection of how the property compares to the industry standard when it comes to price, facilities and services available. It's based on a self-evaluation by the property. Use this rating to help choose your stay! 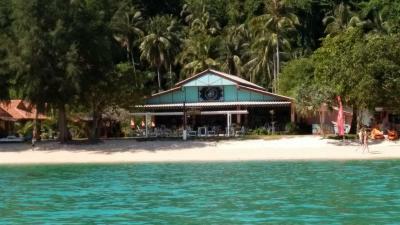 Koh Ngai Kaimuk Thong Resort in Ko Ngai features 3-star accommodations with a private beach area. This 3-star resort offers a garden. There's a restaurant. 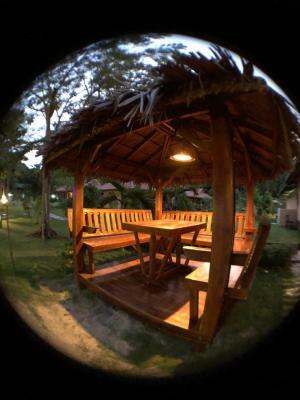 At the resort, the rooms are equipped with a terrace. Rooms are complete with a private bathroom equipped with a shower, while certain rooms have a seating area. 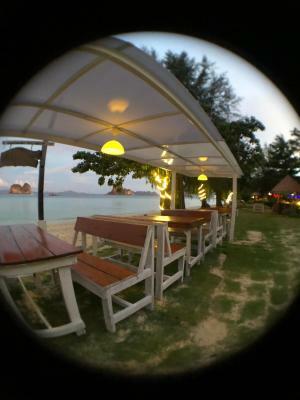 Snorkeling is among the activities that guests can enjoy near Koh Ngai Kaimuk Thong Resort. 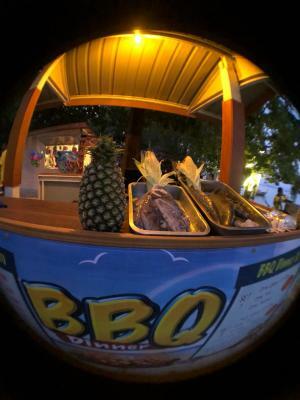 Ko Lanta is 9 miles from the accommodation, while Koh Kradan is 1.5 miles from the property. 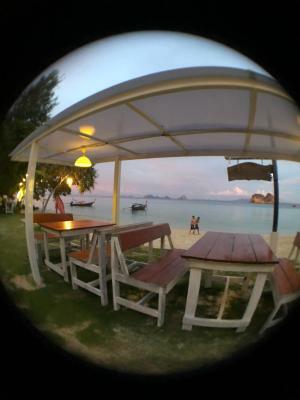 The nearest airport is Krabi International Airport, 59 miles from the property. 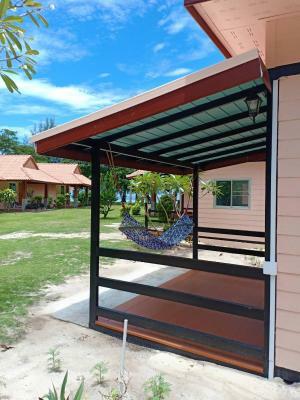 This property also has one of the top-rated locations in Ko Ngai! Guests are happier about it compared to other properties in the area. When would you like to stay at Koh Ngai Kaimuk Thong Resort? This bungalow has a dining area, patio and seating area. 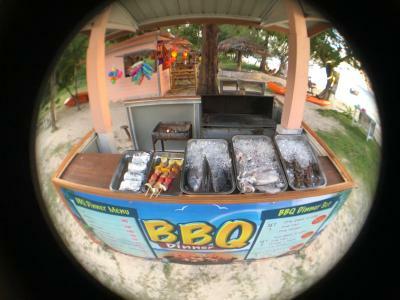 House Rules Koh Ngai Kaimuk Thong Resort takes special requests – add in the next step! Koh Ngai Kaimuk Thong Resort accepts these cards and reserves the right to temporarily hold an amount prior to arrival. No wi-fi in bungalows and no a/c, but I knew it before arrival, so I cannot complain on that. You cannot pay by credit card for transfer to another places. Basic room for the price. There aren’t a ton of places to stay on the island which means prices are higher. The only downside we experienced was that our room was only cooled by fans. We were there in March and the nights were hot, so it wasn't always easy to sleep. I don't know if they offer air-conditioned bungalows, but if they do it would be worth paying extra to have one. Also, the beds are very hard, but we found this almost everywhere we stayed in Thailand, so perhaps it's the norm there. 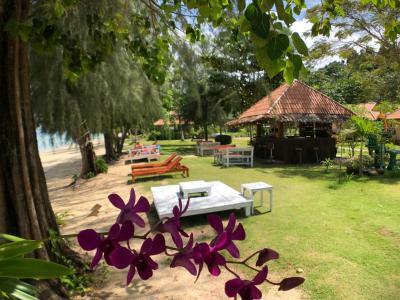 Kaimuk Thong Resort has the best bit of beach on the whole island: palm trees for shade, a very Instagrammable swing, plenty of deck chairs and other bits to sit on; plus a beach-side bar for refreshment. The staff were incredibly welcoming and friendly, and saw to any issues right away with a smile. 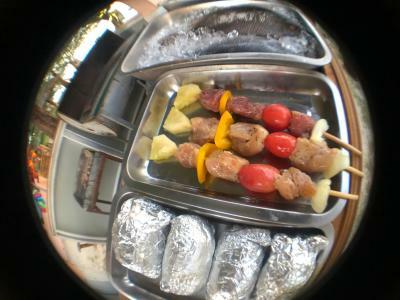 The food was great - we ended up eating at the restaurant, which has beach-side, shaded tables, for every meal. The view out to the karst islands is incredible, the water crystal clear and the night sky filled with stars. We stayed for four nights and were sorry to leave. 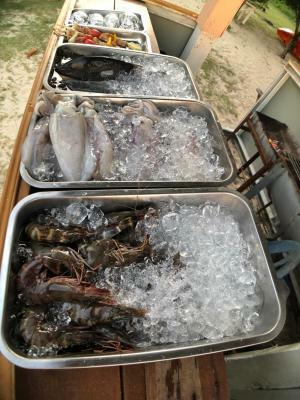 The island is very expensive (the resort is nearly one of the cheapest) - but water 40 THB is not that nice. Absolutely amazing beach. Bungalow is nice and clean. They have delicious shakes at the beach bar. Staff is very friendly. The garden around the bungalow is beautiful. Good job! 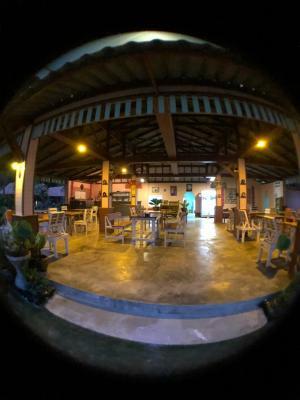 Amazing place ,great smiled staff,delicious drinks and coffe. Beautiful garden, charming beach, great massages. Little piece of paradise, we didn´t want to leave. The floor in our room was so sticky. Bathroom was just ok and it did not have a plug which lead to the biggest problem that we had which were cockroaches. The first night around 11:00 pm when my wife was already sleeping I noticed something come out of the bathroom. It was an around 7cm long cockroach and it went behind a shelf. After cleaning the shelf and moving it I finally found it (cca 15min) and after a rather long fight involving a shoe and bugspray I finally finished it. (I missed two times therefore it took maybe 15 more minutes). Then we plugged all of the sinks with toilet paper only to find another one which ran back to the bathroom and therefore made it easy for us. We kept everything plugged and it seemed fine. Next day before sunset we left only a small hole open on the sink. When we came home a smaller 1-2cm cockroach was waiting for us. After smashing it we closed the hole and checked everything. It seemed there were no more, but who knows. Also the first evening we had a frog inside when we came back. Not sure if it came the same way as cockroaches or if it was already there somewhere when we came - we did not look under the bed. Maybe we should have kept IT as a guard against the cockroaches but I pushed it slowly outside, unknowing what will come later :). So for everyone coming here I recommend plugging everything (sink holes, under the door and somewhere i read even the electricity plugs - we plugged in all our adapters just to be sure) or take a risk. We informed the resort about the cockroaches after our stay so hopefully they would do something to get rid of them. 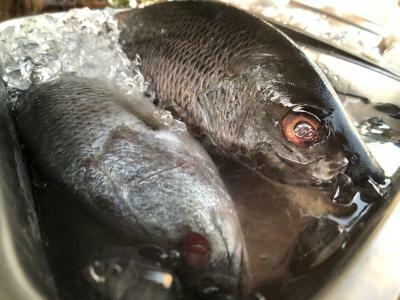 They came to our bungalow through water pipes so I would think they went to other ones as well but maybe the people did not notice - if I went to bed with my wife we might not have seen them either. One more small thing is that in the morning or late evening there is no hot water - for those who do not like to take mildly cold showers. 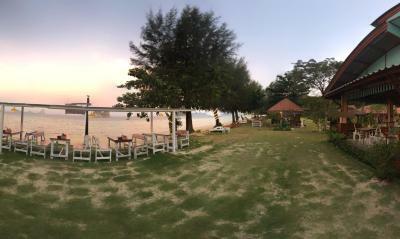 The bungalows are directly on the beach, the surroundings are stunning and staff very kind (as almost everywhere in Thailand :)). The beach is very nice but the low tide is much less beautiful. 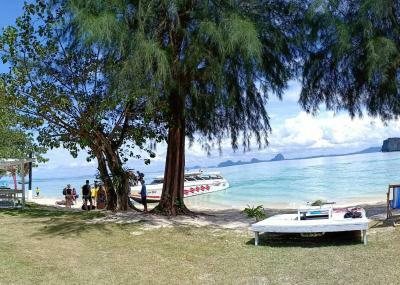 We are currently on Koh Kradan and the beaches are beautiful all day long :). Food was ok, better than some other places we tried but not great. If it wasn't for those cockroaches I would say the room was very clean and they also took good care of the whole place. There is no A/C (which we knew) but the powerful fan was pretty good. There is only a small window so hard to get cross ventilation. We were pretty hot at night but, hey, it's Thailand! 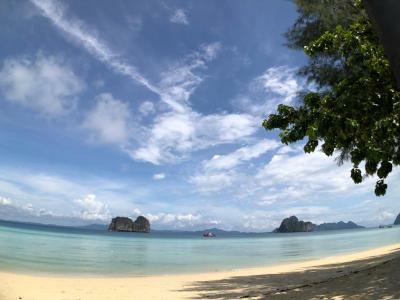 It's on the best part of the Koh Ngai beach, almost 100% sand as opposed to more rocky further north or south. We had heard there was snorkelling off the beach and it exceeded our expectations. Great staff.